I had planned to publish a post about Dying Light today but I ended up reinstalling my OS today and I’m currently in the long, arduous process of installing Windows updates and getting all my games and programs back. So the post will have to wait until tomorrow at least. But when I saw that this year’s NBI awards had been handed out and that I actually won a community award, I knew that I had to say something. I joined this just hoping to get inspiration for more posts but I’ve been overwhelmed by just how friendly and encouraging everyone has been over the past month. 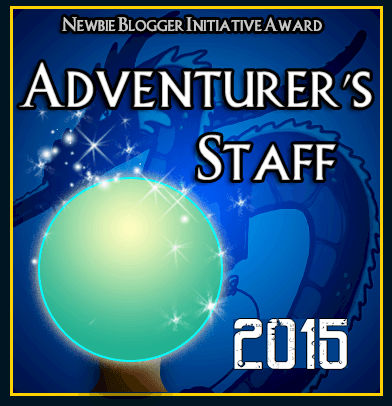 So thank you all not just for the award, but also for the support you’ve given to myself and other bloggers. I have a bit of Imposter Syndrome over this award (or any sort of recognition really) and I think that a lot of the other newbie bloggers write better than I do, but I’ll try my best to believe that my blog is liked that much. I’d like to congratulate the other award winners: Tyrannodorkus for the Good Moniker Medal (it really is a good name), Gamer Girl Confessions for The Epic Bard, and Randark’s Review for Frontline Champ. And congrats to all of the other 2015 newbies for surviving the month of May, it was sure hectic! Sorry for the very delayed comment. Totally my fault. Thanks and congrats on your award too. It was well earned.